These are no ordinary airbrush tattoos! 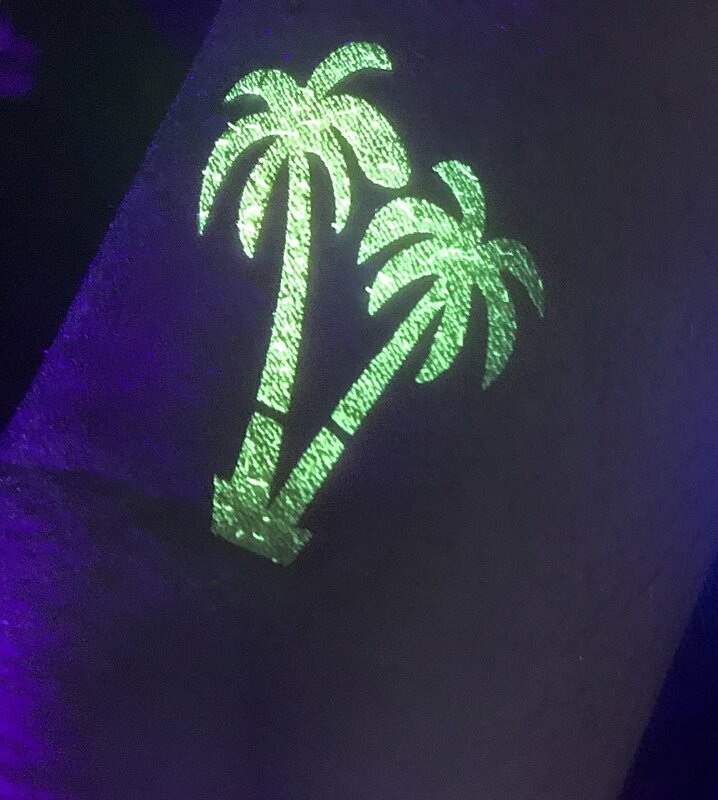 Watch your Artémix artist apply a bright, beautiful airbrush temporary tattoo in the color of your guest’s choice, then take their breath away as the tattoo lights up under a blacklight. 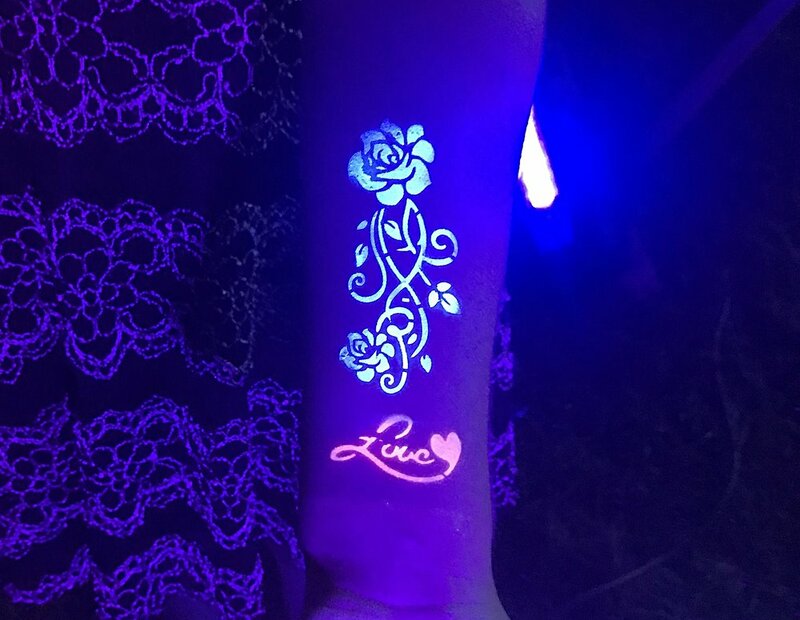 We provide a large selection of designs including armbands, tribal designs, butterflies, flowers, hearts, and much more, plus UV Blacklight lamps to take your guest’s body art to the next level. 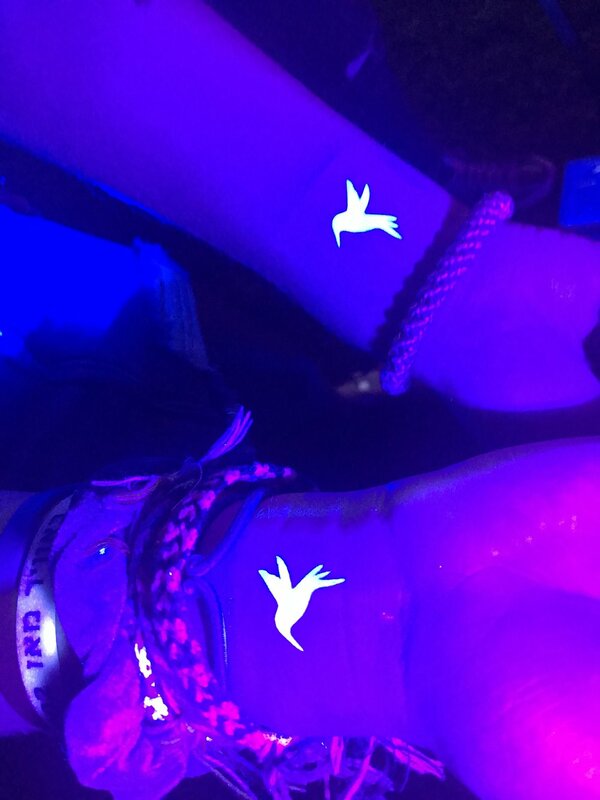 Each UV Blacklight temporary tattoo can last 3-5 days and is easily removed with alcohol or baby oil. UV Blacklight temporary tattoos are fast-drying and waterproof, and are made with high quality materials. Our UV-activated temporary tattoo ink, gels, and powders are made in the USA, contain only FDA approved ingredients, and use only cosmetic grade pigments and dyes.